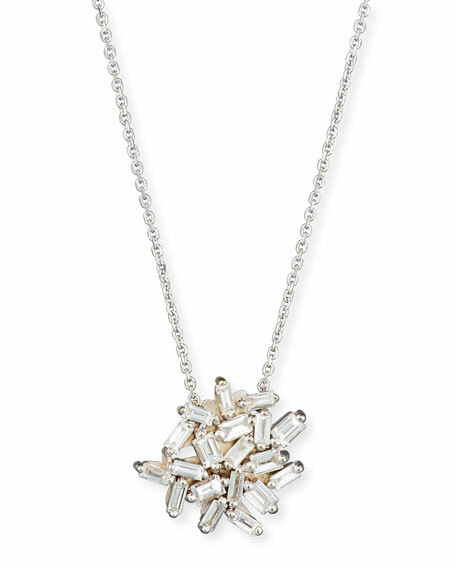 Suzanne Kalan "Fireworks" pendant necklace in 18-karat white gold. 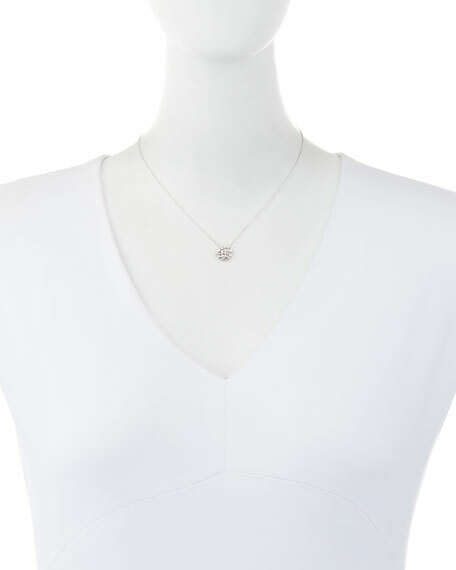 Rounded cluster pendant with white diamond baguettes, 0.34 total carat weight. Jewelry designing became Suzanne Kalan's passion after her first child was born. In 1988, her dreams became a reality when she and her husband Paul started their own company, Kalan. Both had grown up in the jewelry business and possessed knowledge in retail and manufacturing. The success of this family owned jewelry business is attributed to Suzanne's strong background in design and love of beautiful jewelry. Known for her mastery of color combinations, Suzanne has created comprehensive collections that are modern, feminine and expertly handcrafted. She hand picks every gemstone with a keen eye for color, traveling the world to ensure each stone is uniquely cut to fit her collection. Her pieces are at once modern and classic with a natural elegance all their own. The timeless quality is a trademark of every piece of Suzanne's Collections. For in-store inquiries, use sku #2036113.